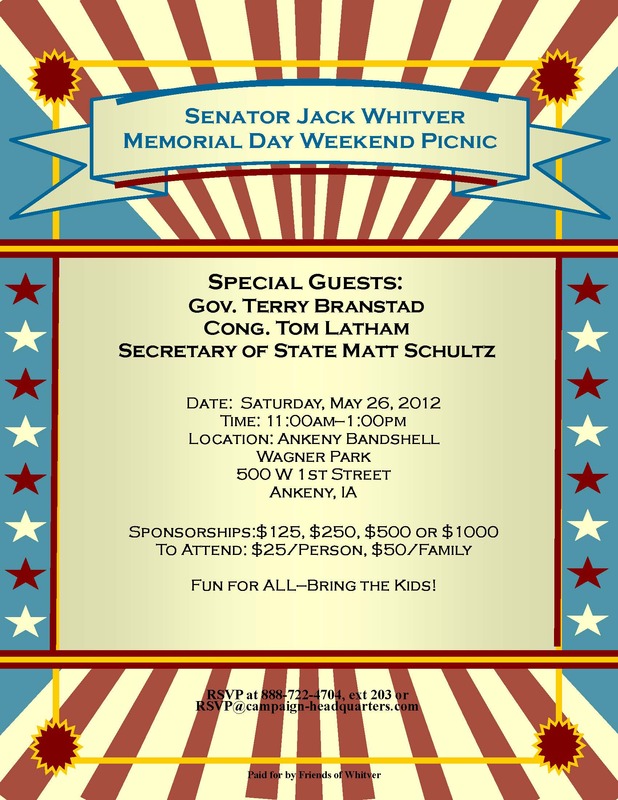 With the primary and caucus season officially over, the time for Iowa Republicans to come together has now arrived.Â For Republicans in Ankeny and the surrounding areas, literally getting together will be on the menu Saturday May 26th at the Ankeny Band Shell in Wagner Parkâ€”along with some world-class barbeque. The event is the first annual â€œSenator Whitver Memorial Day Weekend Picnic,â€ and it will feature some great guests.Â Among those speaking will be Governor Terry Branstad, Congressman Tom Latham, and Secretary of State Matt Schultz. 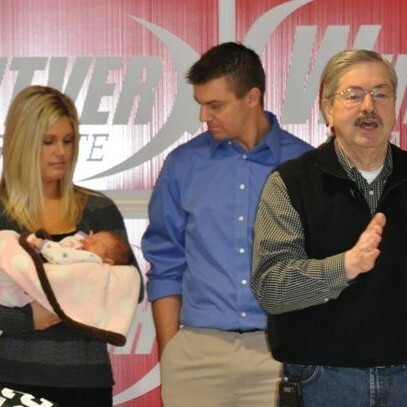 Besides hearing from the featured guests, Ankeny residents will have the chance to meet the candidates running to represent them in the Iowa House, as well as Polk County Sheriff candidate Dan Charleston.Â Â Â There will be plenty ofÂ food and entertainment throughout, asÂ all attendees will be treated to live music and the cooking of renowned Iowa barbeque chef Lee Booton. In the big picture, the influence that Iowa has in the primary process will be fully re-lived this November.Â As an unquestioned swing state in the presidential election and home to two of the most important Congressional races in the Country, what happens here will undoubtedly re-shape American politics for the next several years. All those interested in shaping what will become an Ankeny tradition for several years to come should take a look at the flyer below and make plans to attend on Saturday, May 26th.Â If you are sure to attend, please RSVP to [email protected] .Â Tickets will also be available for purchase the day of the event.